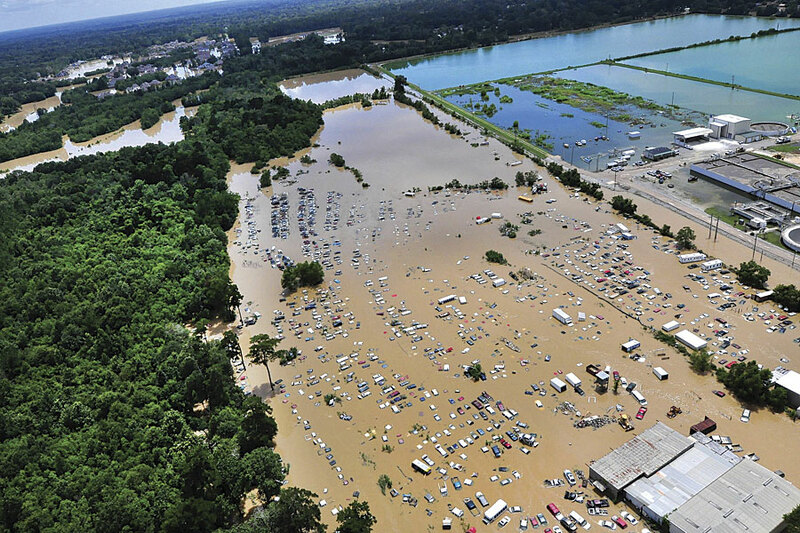 Torrential rains in Louisiana during August 2016 caused historic flooding that affected 22 parishes. As part of response efforts, a web mapping app was implemented for the first time that combined crowdsourced data with official data in a way that could be immediately ingested by systems used by responding agencies at the local, state, and federal levels. 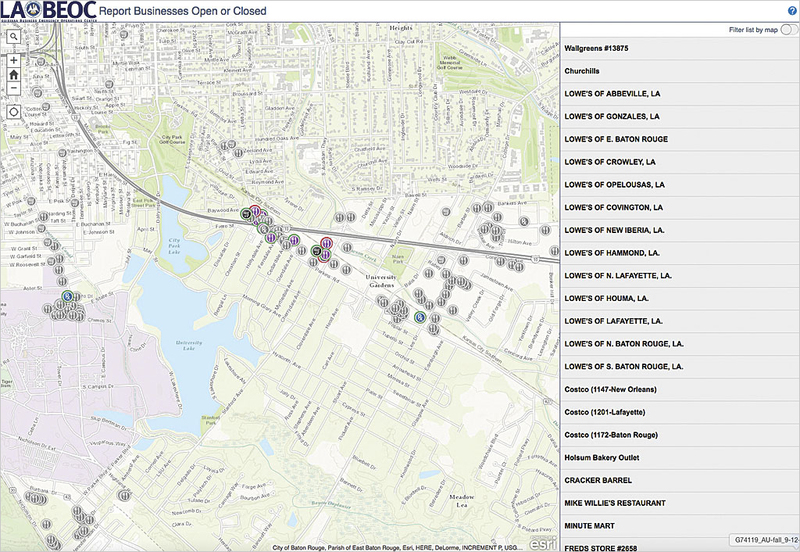 The Louisiana Governor's Office of Homeland Security and Emergency Preparedness (GOHSEP) worked with the Louisiana Business Emergency Operations Center (LABEOC) and Esri to quickly stand up a web mapping app for updating and sharing the current status of businesses in flooded areas. The LABEOC Report Businesses Open or Closed app was developed by configuring the Crowdsource Polling app available from and hosted on ArcGIS Online. It was linked to the LABEOC website so businesses, members of the public, and people involved in response efforts could learn or update the status of restaurants, grocery stores, pharmacies, and other businesses. This information was valuable in helping meet the immediate needs of the public for food, supplies, and services. The app also provided current information that helped GOHSEP determine where to locate points of distribution (PODS) so it could place supplies in neighborhoods where they were needed without competing with businesses that remained open. 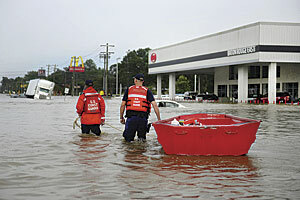 This supported efforts to return businesses to normal operations and restore the local economy. GOHSEP also used the app to obtain a current overview of businesses that were open and could provide supplies, equipment, or services needed for disaster response. Providing access to the app from the LABEOC website made sense. LABEOC is a web-based information sharing platform (www.labeoc.org) and an operations center that assists the GOHSEP in its response to regional disasters and subsequent recovery efforts. It is managed by the Informatics Research Institute of the University of Louisiana at Lafayette. Since its creation in 2010, LABEOC has been activated during every federally declared disaster including the Deepwater Horizon oil spill and, more recently, the floods in northern Louisiana that occurred in March 2016. In addition to providing situational awareness during a disaster and acting as liaison between GOHSEP and private sector entities in Louisiana, LABEOC is a resource management portal for member businesses. LABEOC realized that coordinating information for all area businesses during the emergency required a public-facing app that could be accessed and updated by anyone, not just its members. By using a crowdsourced map, the most current information could be captured and shared with the public and GOHSEP. LABEOC Report Businesses Open or Closed app lets businesses, members of the public, and people involved in response efforts update the status of restaurants, grocery stores, and pharmacies in flooded areas. Esri became involved in implementing the app when Louisiana made a request to the Esri Disaster Response Program to leverage Esri technology to crowdsource status information on businesses. An Esri staff member already deployed to assist in the Louisiana State Police Emergency Operations Center (EOC) coordinated efforts by Esri staff in Redlands, California. 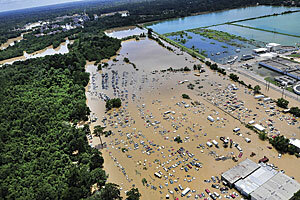 Andy Venuto at the Louisiana Division of Administration supplied data on area businesses in the affected area. The application presents a map that lets users record whether a business is open or closed and add comments about its status. The business to be updated can be selected from the map or from a list of businesses. Once the initial proof-of-concept iteration of the application was accepted, it was fine-tuned with feedback from LABEOC. When chain stores found out about the application, they wanted a way to quickly update information about their stores, so another app was immediately developed by Esri staff to bulk upload updates. An additional app was created to let LABEOC staff and others add businesses that were not included in the original dataset. The LABEOC Report Businesses Open or Closed app demonstrates the growing role of GIS, especially ArcGIS Online, in supporting disaster response and recovery efforts. 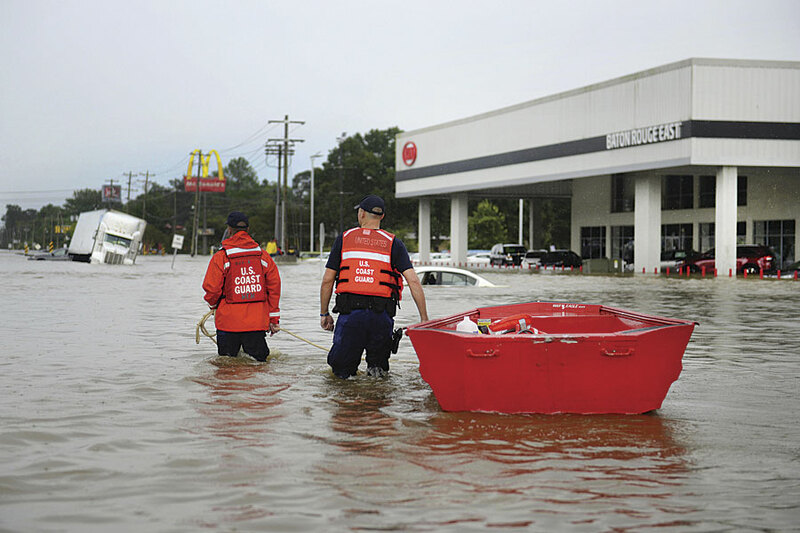 "A Platform for Coordinating Disaster Response" in the summer 2015 issue of ArcUser describes another instance of ArcGIS Online playing a vital role in assisting responders. Although the City of Napa, California, was not using ArcGIS Online when a 6.0 earthquake caused substantial damage to the city and surrounding areas in 2014, the city created an earthquake information map in less than two days with assistance from Esri. That map went viral because it satisfied the demand for current, easily understood information on the effects of the quake and the status of response efforts. A related ArcGIS Online group helped responding local, state, federal, and nongovernmental agencies share information and coordinate activities. The Napa Earthquake Information map continued to be invaluable even after response efforts wound down. It helped communicate the extent of the damage sustained by the city to state and federal relief agencies, which helped residents receive aid more quickly. Since 2014, Esri has expanded its portfolio of GIS-based, focused solutions that can be rapidly deployed because they only require configuration. The Crowdsource Polling app gave GOHSEP and LABEOC an easy way to acquire and share current data so they could respond more effectively to public and business needs. The ability to use the app to aggregate data and integrate it with existing ArcGIS workflows enabled better informed decisions. There has been a growing recognition in the emergency response community that through developing and provisioning solutions before an incident, familiarizing staff members with tools (such as Collector for ArcGIS), and creating ArcGIS Online interagency groups before an incident, response time can be decreased. Chi Smith, a GIS analyst at the California Governor's Office of Emergency Services (Cal OES), who was involved in the Napa earthquake response activation, found the use of ArcGIS valuable in gaining and maintaining a common operating picture (COP). She is actively building an ArcGIS Online community for sharing incident data between government agencies before disasters occur and invites members of the GIS community to join the Cal OES ArcGIS Online Group. The LABEOC Report Businesses Open or Closed app has proved its technical feasibility and operational value. It has been used by both businesses and the public in the affected region. It will only become more effective in future events once the public and businesses become more aware of its beneficial role as a communication channel in an emergency. 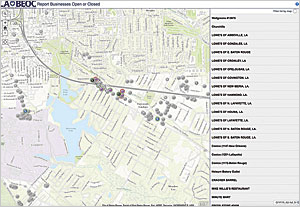 The initial deployment of the LABEOC Report Businesses Open or Closed app was tailored to answer the immediate need during the flooding disaster in August 2016, according to Michael Dunaway, director of the National Incident Management Systems and Advanced Technologies (NIMSAT) Institute at the University of Louisiana at Lafayette. NIMSAT develops public- and private-sector partnerships through LABEOC and the Virtual Business Emergency Operations Center portal. "In the future, we intend to continue development of both the concept and the capability and expand the reach of the application across the state as a normal function of the LABEOC portal and the state's disaster response capability," said Dunaway. "With expansion of the app beyond the region immediately affected by the current disaster, and more frequent use by the public, we believe this will be an important additional function of the LABEOC for both businesses and the public."